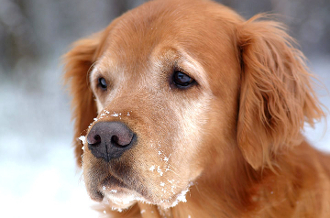 Help Support Triad Golden Retriever Rescue! All our company mascots, the Wet Dogs, were Golden Retriever rescue dogs. The Current Wet Dog, Schroeder, came from Triad Golden Retriever Rescue (TGRR). In dealing with TGRR, we discovered how great this organization is and how much they do rescuing, rehabilitating and placing Golden Retrievers, on average 50 dogs a year! We were so impressed that we now volunteer and publish their newsletter and marketing materials, pro bono. This non-profit organization is 100% volunteer based, so there are no salaries or compensation for the individuals involved. All donations go for the care and rescue of dogs. So why not help a great cause by donating $1 or more (by changing the quantity)? 100% of your donation on this site will go to TGRR, we will pay for the credit card processing fees. Thanks again from all of us at Wet Dog Publications!